Much of the debate in this election is about taxes -- how much we pay, who pays it, is the burden shared fairly. MONEY magazine separates truth from spin. Do half of us really pay no taxes? 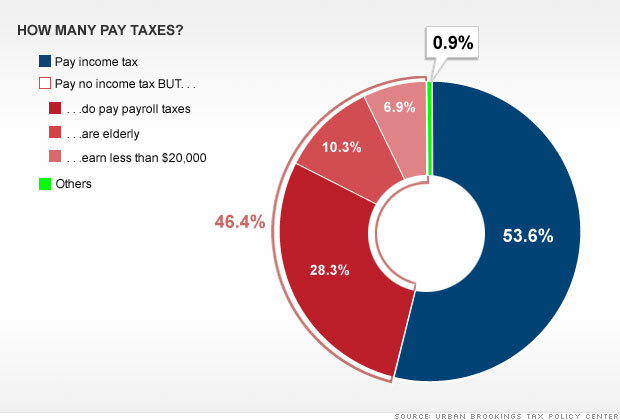 Many people pay no federal income taxes. But the vast majority do owe payroll taxes for Social Security and Medicare, which in turn are two of the biggest items in the federal budget. Add those in, and the taxpaying group is much larger. Most of the rest are either elderly or very low income. NEXT: Does Warren Buffett really pay just 17%? Here's where Obama and the Republicans stand on pocketbook issues -- and what MONEY readers have to say about those heated debates.